I don’t usually grab onto the WP Daily Prompt – I usually can find enough stuff to babble or rant about without a prompt, but this one caught my attention. It said to talk about the last book you read that bit or stung. Several come to mind, but the absolute last book I reread was The Shack by William P. Young. The Shack “is a metaphor for the places you get stuck, you get hurt, you get damaged…the thing where shame or hurt is centered,” Young said in an interview. We all have a shack in our lives, and as I read this, mine was shown to me in all its technicolor horror. Things that I had tried to bury in the far recesses of my mind dug its way up to the surface, reopening wounds that weren’t all that too well healed. Then why would I encourage you to read this book? Because, while you are dealing with the pain of the protagonist and recalling your own bitter memories, you soon become transformed into the story and the healing that follows. Yes, there is a lot of sadness, bitterness and grief in the pages of this NYT bestseller, but there is also unsurmountable joy, peace and above all healing. As I cried with Mac over his own unimaginable tragedy, and shed tears over my own scars that have haunted me for nearly my entire 53 years, I began to hope. Hope for a better place than this horrid world we now live in. I also began to see that sometimes bad things do (more often than not) happen to decent people, and although I can’t (and probably never will) see the big picture, God knows, and I have to trust in His plan. This lesson was made crystal clear to me as was the ‘one piece of clarity’ that I gleaned from this particular reading – “Love without an agenda!” Wow, what a concept. This nugget of wisdom first stung me greatly, because when I examined myself closely, I realized, that I always have some kind of an agenda. Whether it is something as benign as getting more hugs from my grands, I have an agenda. To love without an agenda is to understand the depth of God’s love, and to understand the depth He went to to ensure that none of us perish in this evil world. Sorry, didn’t mean to get preachy, but this book will change the way you look at God, Jesus , the Holy Spirit – The Trinity. This concept has always eluded me (and I was raised Catholic). If you struggle with the concept of the Trinity, The Shack might just help to solidify its reality in your mind. Although The Shack was written as fiction, you cannot help but hope to dream that this encounter did truly happen, and that everyday people like you and me can actually physically wrap ourselves in the arms of Papa. I hope you will pick up a copy if you haven’t already read it, and if you have, maybe decide to reread it again. Some people get all wrapped up in the imagery of God as a robust black woman – but not me. For Mac to accept God, He had to appear in a form that Mac wouldn’t shy from. After all, we are ALL created in God’s image – so I imagine Him as a kaleidoscope of character and personality traits. But one thing is always constant: His love never waivers, never changes and He never apologizes for it. HE LOVES ALL OF US WITHOUT AN AGENDA! 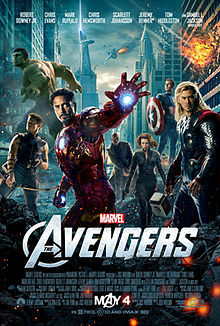 Clint and I got up this morning with the full intentions of seeing the box-office hit The Avengers. When we got to the theater one hour before it started, we were disappointed when we were told that it was sold out. 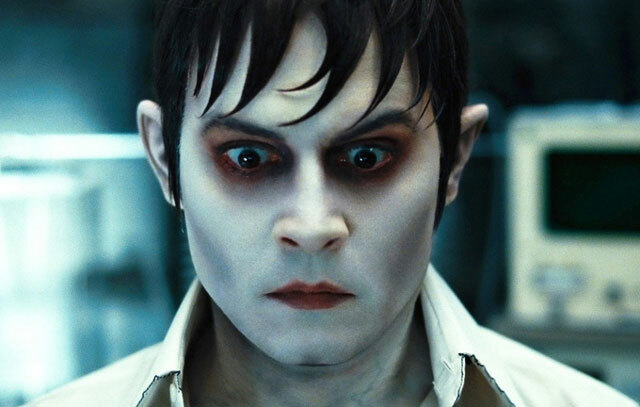 But seeing how we both had been looking forward to seeing a movie, we decided to catch Johnny Depp’s Dark Shadows. After all the trailers looked promising, and as many of you know, I adore fantasy fiction. Besides I remember when the soap opera Dark Shadows was on TV; my mom and sisters watched it, and I remember seeing it a time or two. We must of been fans, because we named our dog Barnabas Collins and our Siamese cat, Quitin Collins. 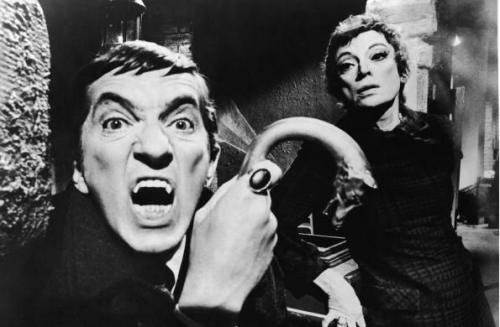 Canadian born actor Jonathan Frid made TV history playing the misunderstood if not blood-thirsty Barnabas Collins. After sitting through the flick, all I can say is that I’m glad we went to a matinee, which was cheaper than an evening ticket. No, I’m being unkind. The film was entertaining and Depp did a marvelous job of taking a serious roll and infusing it with his quirky sense of style and humor. I would even go as far to say that I would re-watch it again if it came on TV for free. Depp was able to find the fine divide between heartbroken and compassionate lost lover and gruesome monster. The intensity of his eyes and lack of facial expression was, as always, a joy to watch – and the hair and makeup people hillariously got Barnabas’s hair perfect. Could the hair be any more perfect? The other cast members were all well played; Micelle Pfeiffer was convincing and likable as Elizabeth Collins Stoddard the matron of the 20th century Collins Clan, just as Helen Bonham Carter was despicable as the over-intoxicated and medicated Dr. Julia Hoffman. Newcomer Bella Heathcote beautifully played a girl out of time who was inexplicably drawn to the Collins family, and Eva Green captured the true wickedness of the jilted and scorned witch Angelique. 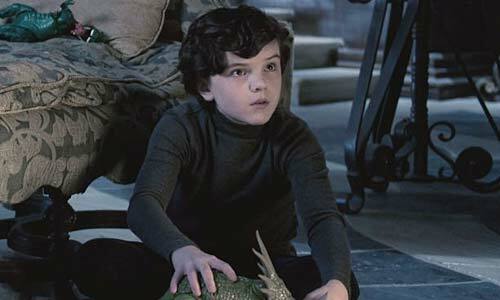 One of my favorite’s in the film was the young and troubled David Collins played by Gulliver McGrath and reminded me of a young Fred Savage. Most of the truly comedic moments were pretty much all shown in the various trailers, leaving not much to look forward to. And if you were thinking of taking the kids, think again. This flick is full of not so subtle sexual moments. Although there is no show of skin, except for the plunging necklines of Angelique, the action in the movie leaves little to the imagination. Even the most naive of children would guess what was going on in most of the scenes. As far as horror or gore, there is not much except the over abundance of fake blood dripping down Depp’s chin. 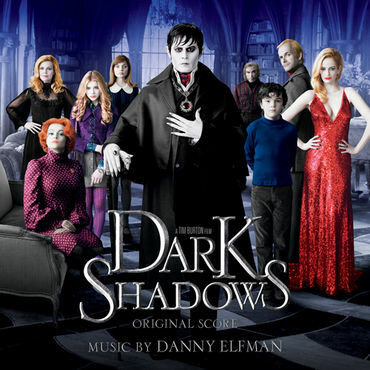 From left: Johnny Depp, Guliver McGrath, Helen Bonham Carter, Bella Heathcote, Eva Green, Chloë Grace Moretz, Michelle Pfeiffer, Jackie Earle Haley and Johnny Lee Miller. All in all, I would give this film a C+, and I’m probably being too generous. Anyway, happy Mother’s Day, and if you want to go see a film tomorrow, get online now and order your Avenger tickets.